ASUS will eventually be rolling out a Windows 10 notebook that will be running a Snapdragon 835. Earlier reports indicate that these ARM-powered machines will be marketed as having battery life that will last for hours. Unfortunately, on the performance side of things, it looks like these devices could end up being a disappointing bunch. 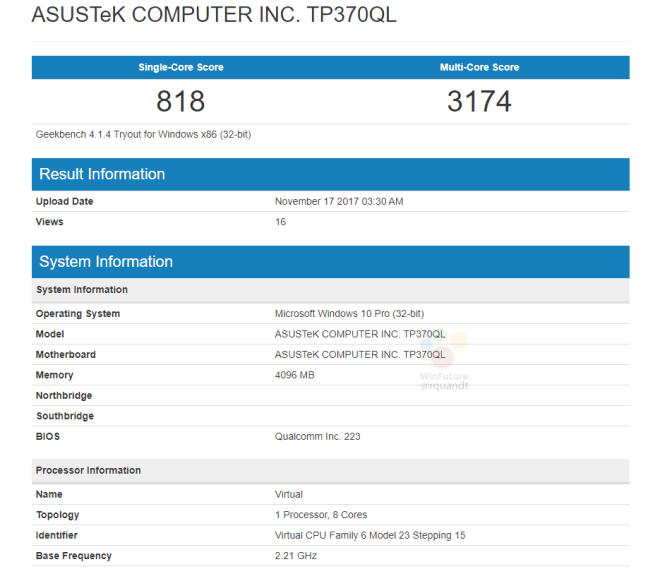 ASUS is among the several partners that will be incorporating a Snapdragon 835 inside its Windows 10 notebooks to cater to users that display an affinity towards portable notebooks that can deliver a huge amount of battery life. The Snapdragon 835 is the bare minimum chipset required to run Windows 10 natively, but the performance results are rather displeasing. 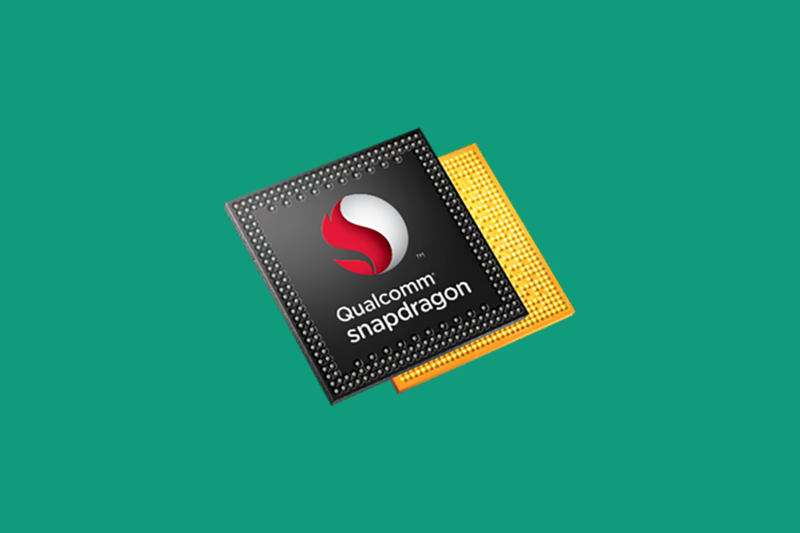 According to the leaked Geekbench score (taken from WinFuture first), the Snapdragon 835 will indeed feature 8 processing cores coupled with 4GB of RAM. We expect that there will be other models offering more RAM for better multitasking opportunities but the primary use of these notebooks will most likely be for web browsing, media consumption and small amounts of word processing. The notebook itself is a 13-inch model meaning that it can house a decent-sized capacity underneath its housing. While the scores might be disappointing, please take them with a pinch of salt for now. It is more than possible that this model was just being tested and that Microsoft is also working closely with Qualcomm to ensure that Windows 10 ends up being buttery smooth with the Snapdragon 835 in use. These notebooks could be showcased during CES 2018 or even during Computex 2018. Aside from ASUS, Lenovo, Acer, and others will have their offerings ready for deployment most likely at smaller price tags. It is possible that these scores were obtained because there is still much work needed to allow the chipset and OS to work properly with one another. Do you think you guys should expect better performance from ARM-powered notebooks in the future? Tell us your thoughts in the comments.